Just when you thought things couldn’t get worse with presidential election cycle upon us featuring a pair of candidates you have to decide whom you dislike the least, now we find out that soon there may not be much of a United States left to govern. At some point. Maybe. If you believe in conspiracy theories. According to a report by Disclose.TV, NASA has “confirmed” that a planet called Planet X, or Nibiru, is hurtling towards earth and will someday crash into it, triggering a cataclysmic event that will end all life. A second report at Space.com notes that there is indeed a “mysterious object” that is revolving around our sun in an abnormal way. Currently at the outer reaches of the solar system, scientists are at a loss to explain its abnormal behavior. But this report doesn’t say anything about a collision course with Earth. Nicknamed “Niku” after a Chinese adjective that means “rebellious,” the group of researchers who identified and named the celestial body in August gave it that name because the orbit is retrograde, meaning it is moving it the opposite direction of just about everything else in the solar system. The body was discovered by researchers utilizing the Panoramic Survey Telescope and Rapid Response System (Pan-STARRS) in Hawaii. It is about 35 times farther away from the sun than the Earth, and is beyond the orbit of the planet Neptune. Scientists say that Niku’s orbit is inclined at an extreme 110-degree tilt, in relation to the relatively thin, flat zone in which the eight major planets of our solar system orbit. By contrast, most trans-Neptunian objects do not have inclined orbits. In researching further, astronomers found four other documented objects with orbits that either were retrograde or nearly retrograde, which means the orbit is inclined by less than, but near, 90 degrees, and also very highly tilted. Two of the objects are Centaurs, or celestial bodies that orbit between Jupiter and Neptune. Computer models created and carried out by researchers suggest that Niku and a second trans-Neptunian object called “Drac” may actually have been in their current orbits for hundreds of millions of years. Also, scientists suggest that there may also be more extremely inclined objects in the group. 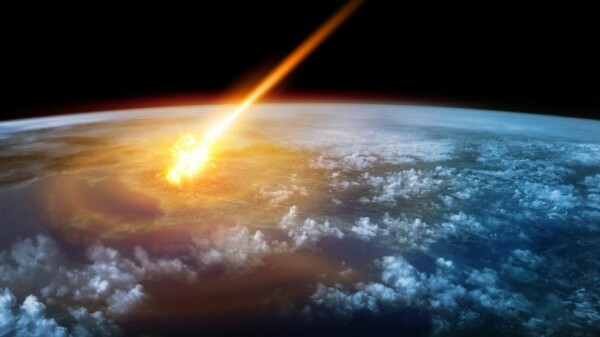 But some conspiracy buffs think that the mysterious Planet Nibiru is heading for Earth, according to Disclose.TV. The site noted that the CIA, NASA, the Pentagon and even the Vatican are aware that it is approaching, as evidenced (allegedly) by changes in global weather patterns. “We have been feeling the disruptive effects of the inbound rogue Planet X since 1996 in the form of increased seismic and volcanic activities, freak weather patterns, and natural disasters,” the site noted.